Rocking the winter lumberjack look! 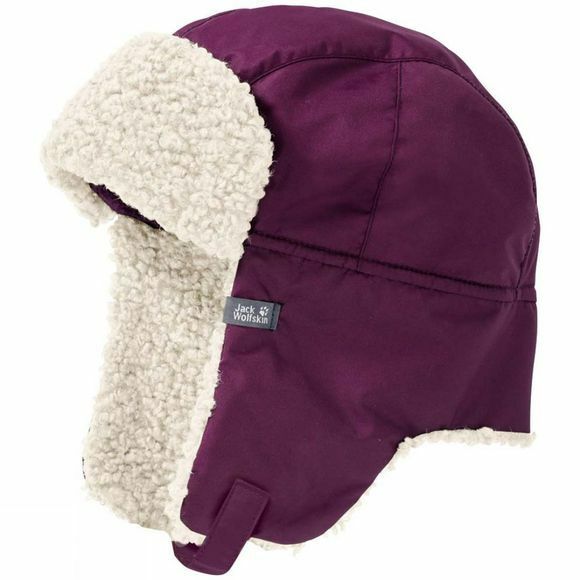 With its fluffy Fleece lining, cosy ear flaps and windproof outer fabric, the Kids Stormlock Paw Shapka Hat from Jack Wolfskin provides junior explorers with superb protection from the wind and cold. The soft, lambswool-style Fleece lining is amazingly warm and cosy and because this hat it is also very breathable, it's great for dashing around in the snow. The chin strap can be used to secure the ear flaps in place.